The Reality Footages - Paranormal, Haunted, Ghosts etc. | . ::Khawaja's Blog::. Home Free Ghost Videos Ghost Video Clips Ghosts Ghosts Lights Ghosts Photos Ghosts Pictures Videos Haunted Paranormal Paranormal Pictures Photo Photo's Poltergeist Spirits Unsolved Mysteries The Reality Footages - Paranormal, Haunted, Ghosts etc. The Reality Footages - Paranormal, Haunted, Ghosts etc. 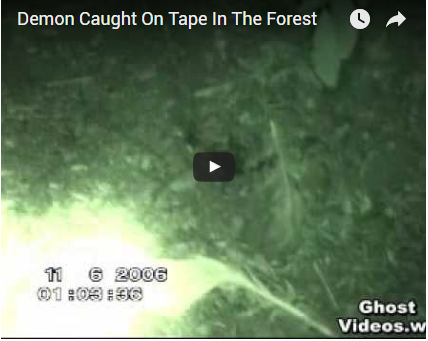 In this footage, a man and his friend videotape a trip into the forest at night. First they come across a dark liquid seeping into the ground, but that was nothing compared to what they came across next. Why does this demon live far out in the forest, isolating itself from our society. The chilling clip, a group of friends decides to pick up a roadside hitchhiker. Little did they know that this benevolent gesture would haunt them. The ghost photos caught on camera. The music is a little over the top, but several of these sightings are quite compelling. The following footage was obtained from an outside surveillance camera. Everything appears to be normal until something resembling a ghostly spirit appears near the trees and bushes. This is a brief clip, a family visits the Thames River in Southern England. Everything appears normal until something captures the camera operator's attention. An unknown, semi-transparent figure ascends from beneath the guard wall. The ghoul seems to have facial features and possibly even arms. Could this ghostly spirit be the soul of a man or woman whose life was claimed by the river? Perhaps it was death by suicide, leaping from this exact spot? We may never know for sure. Must Watch!!! The video in this part the Ghost File series. It features several ghost sightings and unexplained phenomena caught on tape. Unsolved Mysteries(Ghost Lights) - When mysterious ghost lights are spotted in a seemingly normal town, its citizens are eager to do anything and everything to discover their origins. This series of clips comes from a YouTube user named mellowb1rd residing in the UK. mellowb1rd captures some pretty incredible footage of his home which seems to be inhabited by a poltergeist. Some people believe this is the most authentic ghost footage ever to surface on the web, while others aren't entirely convinced. The last clip in this set is a video response by a YouTube user demonstrating that some of the special effects can be achieved with CGI. Could mellowb1rd possibly have a ghostly roommate? Examine the evidence, and decide for yourself. Check out mellowb1rd's YouTube channel for even more videos.